Many homeowners unknowingly open their homes up to pests during the holiday season. Christmas trees can host up to 25,000 bugs, including adelgids, aphids, bark beetles, mites, praying mantises, psocids, scale insects, spiders, bark lice, and webworms. While these insects are harmless and mostly to small to be seen by the naked eye there are a few steps homeowners can take to avoid bringing them inside. Examine tree branches and trunks for any signs of eggs or bugs. 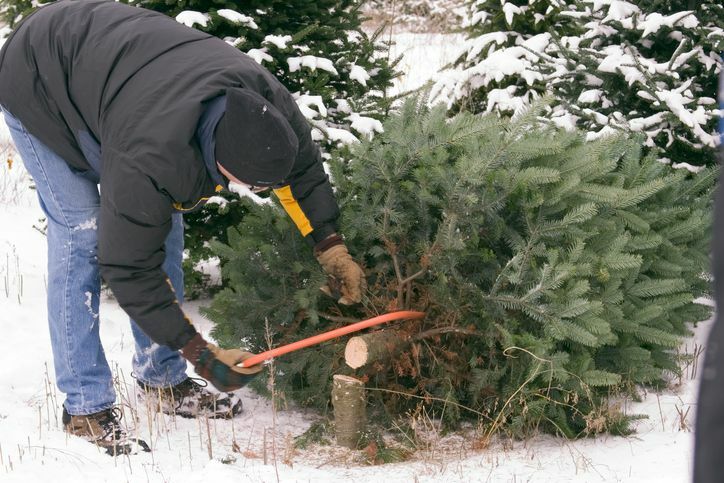 Keep the tree in your garage for at least 24 hours before decorating. Shake the tree over a white sheet to dislodge bugs before bringing it inside. Vacuum the tree. This will pick up any stubborn bugs that survived the above measures. Spray neem oil on the tree to kill any additional pests. DO NOT USE AEROSOL PESTICIDES. THEY ARE USUALLY FLAMMABLE. This entry was posted in All Industries and tagged Pesticide.